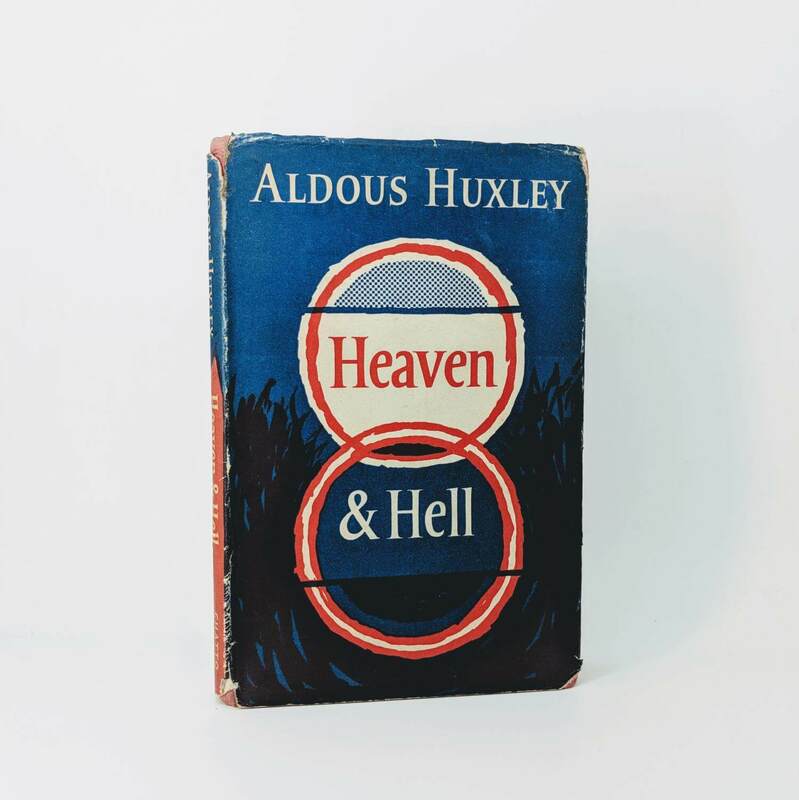 Heaven & Hell By Aldous Huxley First Edition, First Impression (Chatto & Windus, 1956). A sequel to 'The Doors of Perception' published in 1954. Spine ends and board corners bumped; a little damp staining to top edge of upper and lower boards; very faint offsetting to front and rear endpapers; small stamp to rear pastedown. 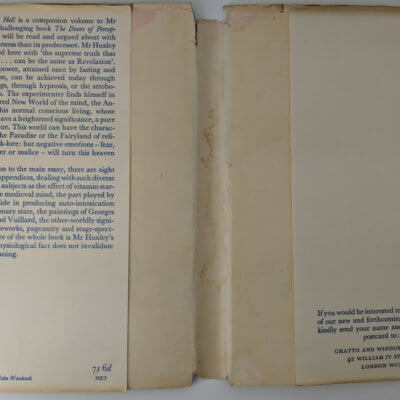 Original and unclipped dust jacket has some loss to spine tips and to corners; a few nicks to top edge of front and rear panels; pink stain to verso; fore-edge and hinges rubbed; edge wear to top.